This could be your "Buddy"! 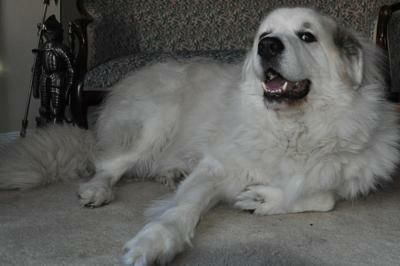 Buddy is a four year old male Great Pyrenees in need of a new home. 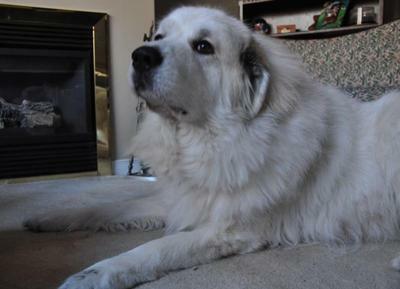 Not uncommonly, Buddy owners did not realize that pyrs are so big and fluffy when they adopted him a year ago, and now find that his size and fur are too much for their lifestyle, as well as their townhouse! 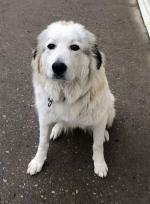 He is a well-loved dog and his owners are anxious that he is adopted into the right home with the space he needs and neighbours who are not going to upset by his very typical pyr barking. 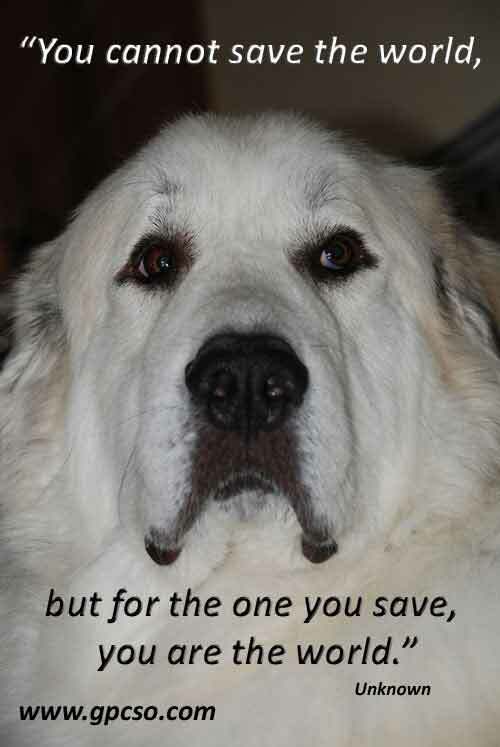 Like many pyrs, Buddy is a bit of a barker. 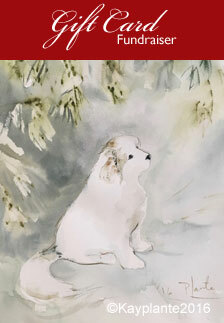 Buddy spent his early years outside and not very well cared for; he is now house trained and a loving, devoted house dog. He is not a hugely active dog – he likes his walks but is not going to want you to go jogging with him. 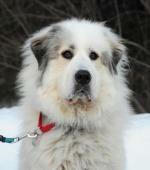 His owners know they are not the best family for him, and want the best for this big, gorgeous boy. Buddy is in good health and up to date on all his vaccinations. 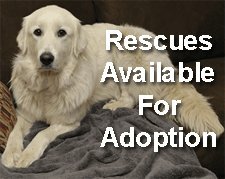 He is good with children and dogs, but he is unknown with cats as has not had any interaction with them to date. He has not grown up with children in the home, but as you can see from the photos, he is very patient and calm with them. 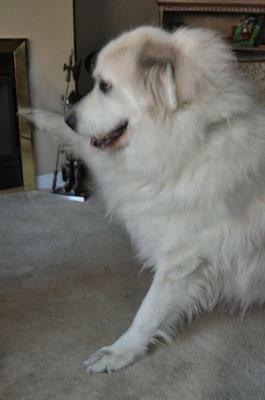 Buddy will make an excellent family dog; he is the quintessential “buddy” dog. Is he the boy for you? 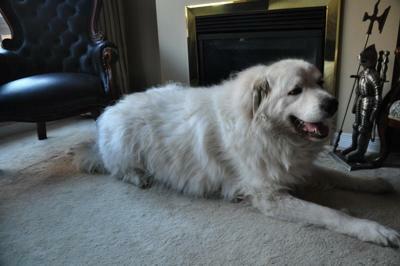 Here is the happy ending and another Happy Tail. Buddy stayed with his family until he was able to be adopted, rather than go into foster care. 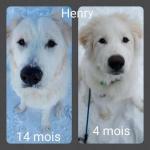 They were very grateful for the help from Great Pyrenees Clib of Southern Ontario, and for the microchip he had received before he was adopted. 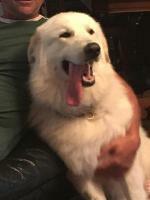 His new family in Southern Ontario is very happy to have a companion for their pyr, after their other pyr died of old age. 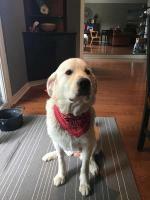 Buddy is now a fast friend of Montana, and is much loved. Congratulations and a big thank you to all!